The road less traveled: Cusco and Machu Picchu lie to the south of Lima, but you and I are headed to the less visited north. After a flight to Jaen, it's a windy, four-hour drive to Chachapoyas. You may need Dramamine. Amazonas, Peru. Roadside scenery: We’ve entered the Utcabamba Valley in the province of Amazonas. Not to be confused with Amazonia, this is the region between the Andes and the jungle, with elements of each. Peru. God’s country: The predominant religion is Catholicism mixed with elements of Inca and pre-Inca beliefs. Maybe that’s what’s going on here with Jesus, Adam, Eve, and a tiger. Utcabamba Valley, Amazonas, Peru. Don’t mind the sketchy vibe; this is the best restaurant in Chachapoyas. We’ll come back for dinner. Northern Highlands, Peru. Chachapoyas was one of the first towns established by the Spanish in the 16th century. There is little left standing (because, earthquakes) from that early period except for a fountain in the middle of the town square. The plaza attracts families and young lovers. Amazonas, Peru. Amazonas Avenue is a pedestrian-only street, lined with colonial-period houses, some private, some repurposed as hotels and restaurants. The condition of some of the other streets is mildly derelict. Chachapoyas, Peru. Roller skates and pink seem to be a thing here. On weekends, families gather in the squares and plazas. Chachapoyas, Peru. 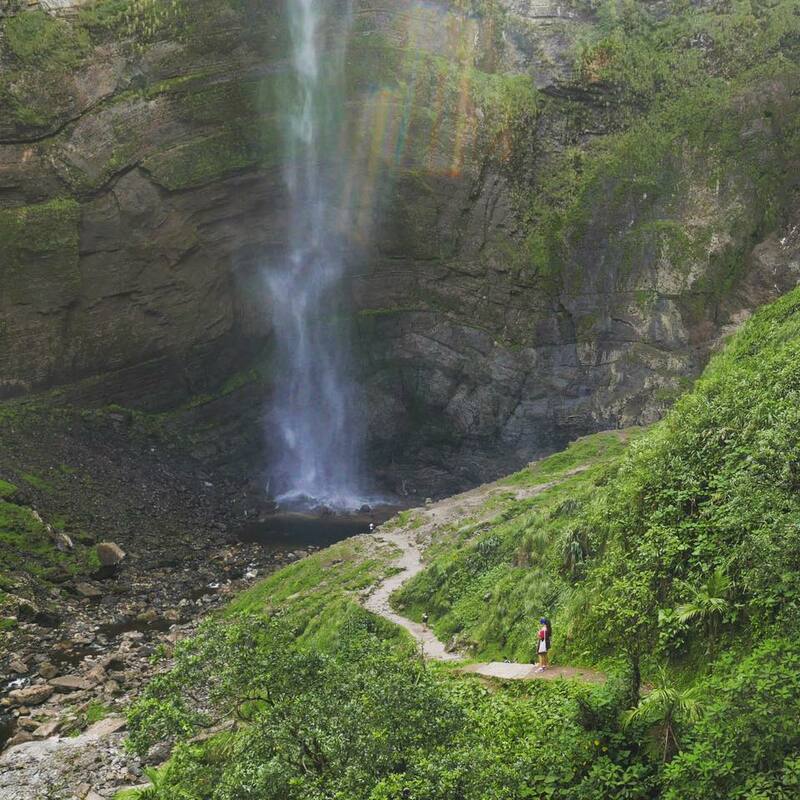 Evenings are cool in the northern highlands in July, perfect for a stroll in the main plaza in Chachapoyas. Peru. Getting hungry? 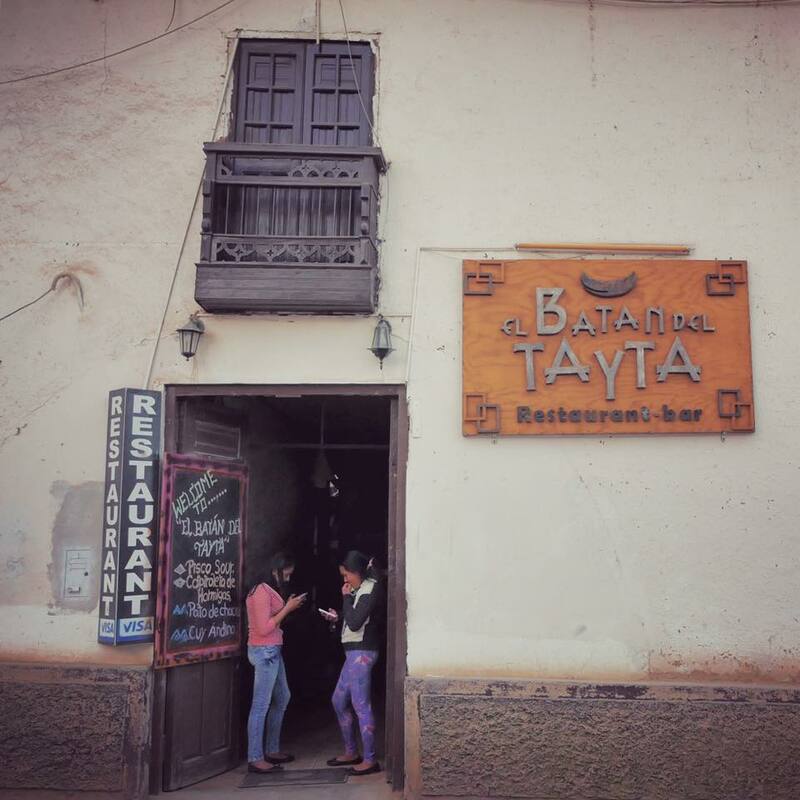 The starter drink at El Batan del Tayta is a eucalyptus-flavored pisco sour. Chachapoyas, Peru. 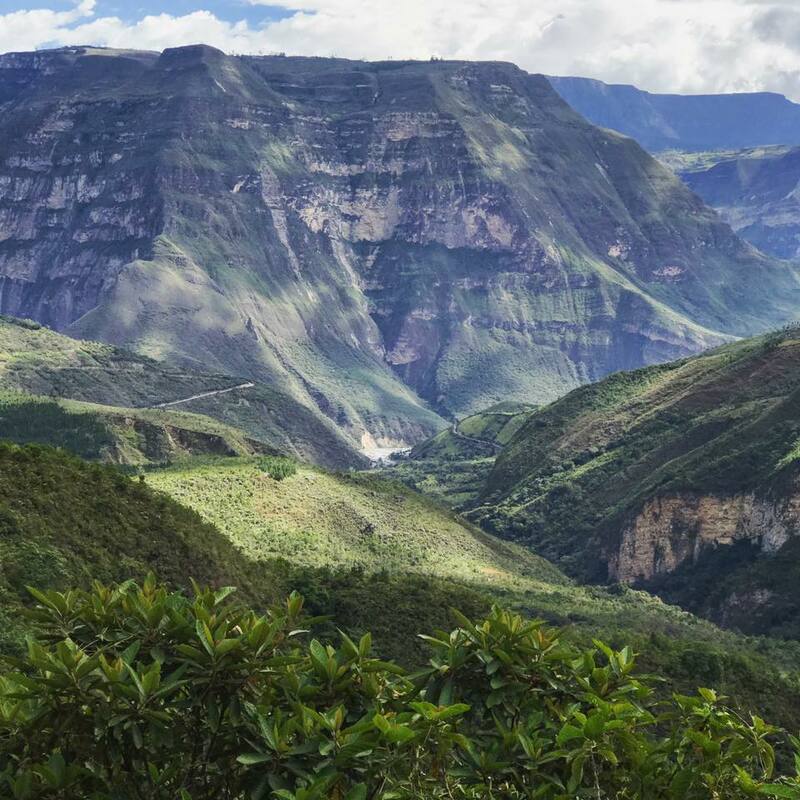 Jungle menu: Chachapoyas was once the gateway to the Amazon and its cuisine fuses Andean and Amazonian. This restaurant leans toward the latter in decor and menu. Dishes and drinks include fried corn (canchita), molasses chocolate milk with liquor made with macerated ants (caspiroleta de hormigas), fried guinea pig (cuy), yucca boiled in purple corn and then fried. Yes, there does seem to be a lot of grease involved. The food is served on stone slabs or coconut husks or wood boxes; it’s all a tad gimmicky, but it works. The food is tasty, even the ant drink (skip the actual ant--bitter aftertaste). There’s beauty in the most humble objects. Colonial-era door latch. Chachapoyas, Peru. On the banks of the Utcabamba River, the Spanish colonial style Casa Hacienda Achamaqui recently re-opened, as tourism to the region has started to pick up. From the grounds you can view a sarcophagus from the pre-Incan Chachapoyas culture set in the cliff face. Amazonas, Peru. Wondering where on Earth I’ve taken you? We’re in this square in the Amazonas region of the northern highlands of Peru. To the north, Ecuador; to the east, the Amazon; to the west, the coast; to the south, the Cordillera Blanca. We’re off to see Gocta Falls, the third or sixth highest falls in the world. Why the discrepancy? 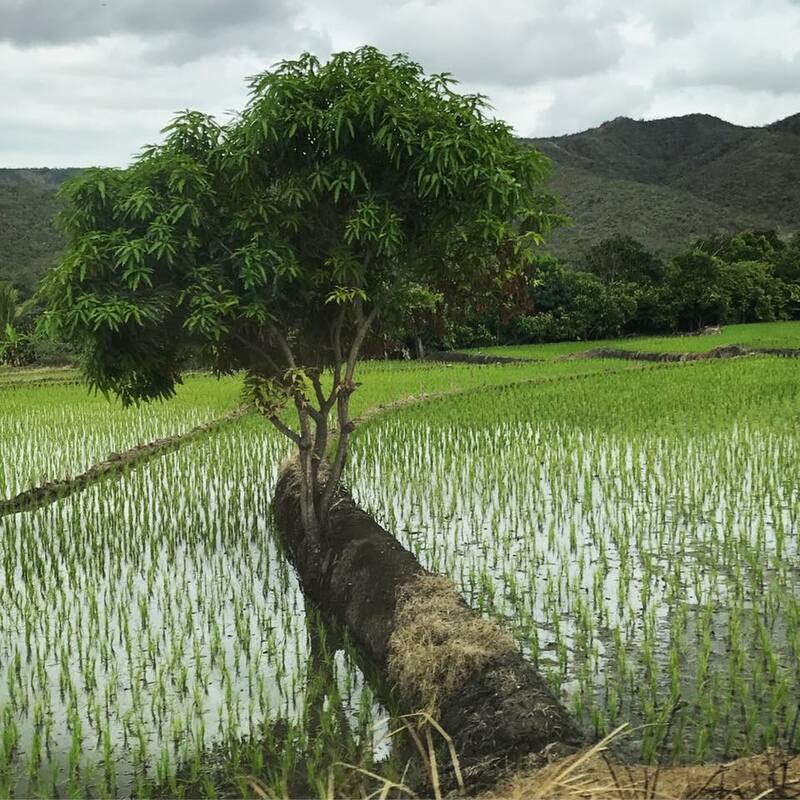 It depends on how it’s measured; no matter, it’s high. We’re in the able hands of local guide Ruben, his horse Dino, and his dog Perroquin. They’ll take us about 3/4 of the way and then we’ll hike. We could walk there, and many do, but it’s a steep ascent at altitude. Let’s enjoy the ride and the company. Cocachimba, Peru. Aren’t you glad we’re on a horse, otherwise we’d be constantly watching our step and missing out on views like this. We’re at 5900 feet in elevation and climbing to 8300. The scenery is breathtaking, or is it the altitude? From Cocachimba to Gocta Falls, Peru’s northern highlands. It’s hard to fit a 2,531-foot tall falls in one picture. It’s like 4 1/2 stacked Washington monuments. And the crazy thing is that Gocta lay hidden in plain sight, unknown to all but nearby residents until 2006. Apparently a local legend kept people away from the site and no one ever bothered to come close or tell anyone until a German visitor saw it and measured it. A paved road was built to the town of Cocachimba, and a new tourist site was born. So far, from what I’ve seen, the site is managed pretty well and the locals benefiting. Amazonas region, Peru. Secret waterfall: Gocta Falls, Cocachimba, Peru. Those dots are normal-sized people, not Lilliputians. Heading back from the Gocta Falls, a second chance at the views. They call this area the Andean Amazon, or sometimes the Amazonian Andes. The topography is mountainous but it’s always green. Amazonas, Peru. Room with a view: Gocta Andes Lodge, Cocachimba, Peru. When it’s Take Your Daughter To Work Day, every day: This Cocachimba guide leads a tourist-laden horse up and down steep Andean trails daily, with baby in tow. Quinoa balls on an avocado mash at the Gocta Lodge. Long before quinoa became a trendy superfood everywhere, it was a staple of the diet here. Amazonas, Peru. What’s cuter than a baby alpaca? A baby alpaca in a bow tie looking to its mum. Gocta Andes Lodge, Peru. You’ve heard of Machu Picchu, but what about Kuelap? 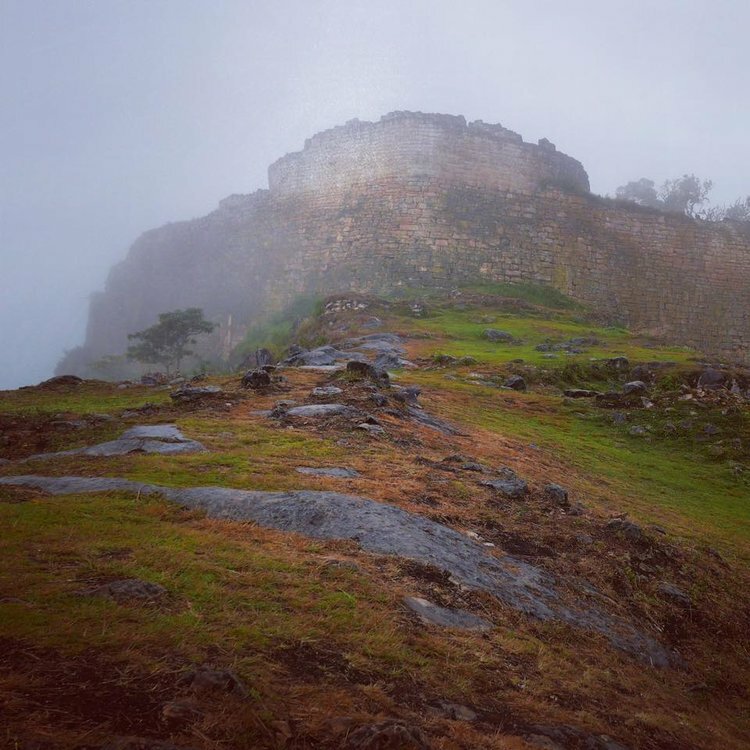 It’s a massive stone fortress in the northern highlands, larger and older than the famous icon. That’s where I’m taking you. 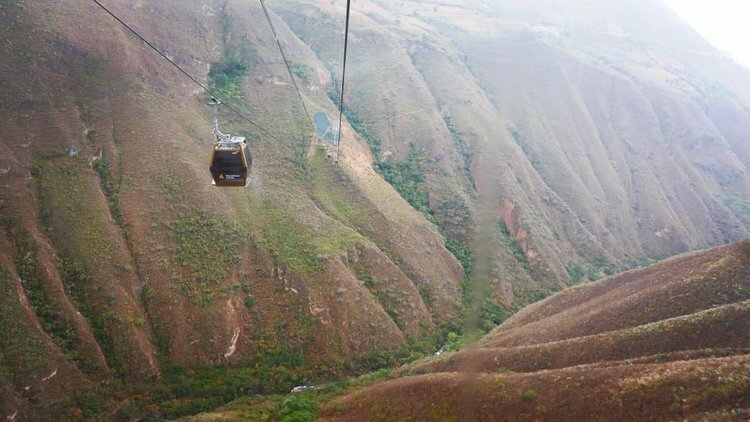 A new cable car, opened in March, cuts the 90-minute car journey down to 20 minutes of soaring awesomeness across the velvety Utcabamba Valley. It nevertheless takes some effort to get there; commercial jet service takes you to Jaen, and it’s a four-hour winding drive from there. 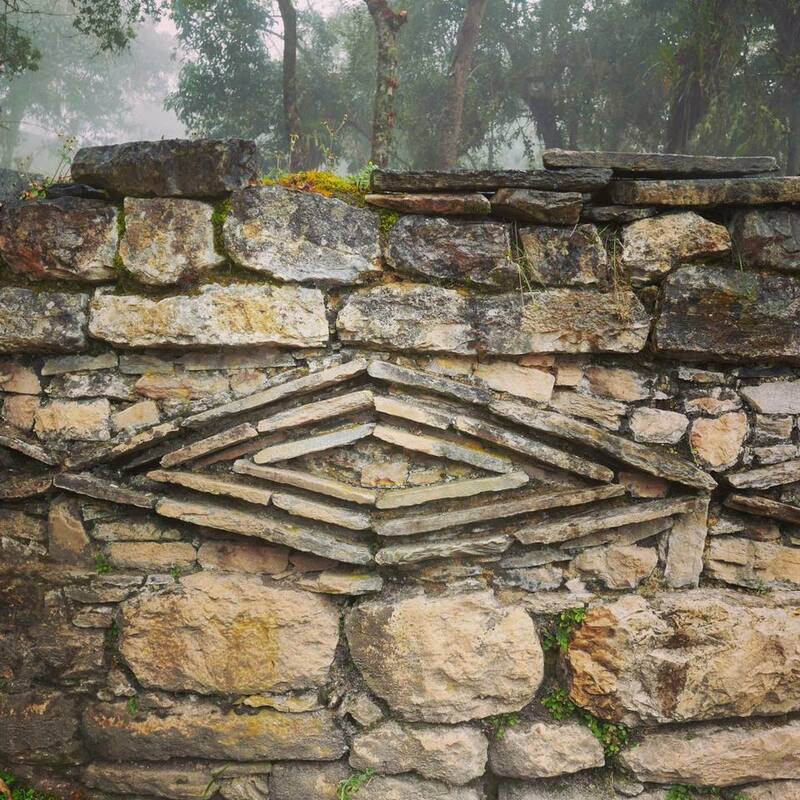 Lost city: Some 1,500 years ago, the Chachapoyas people, called the People of the Clouds, built a massive stone citadel in the clouds (altitude 9,850 feet) for ceremonial and later protective purposes. The Inca came and conquered them, but never completely. More on that later. Northern highlands of Peru. Building blocks: The first question that comes to mind is “How’d they get the heavy stones up the mountain?” According to our guide Carlo, the Chachapoyans didn’t bring the rocks up so much as down, using the mountain itself as the source of the material. Clever they were, those ancients. Kuelap, Amazonas, Peru. 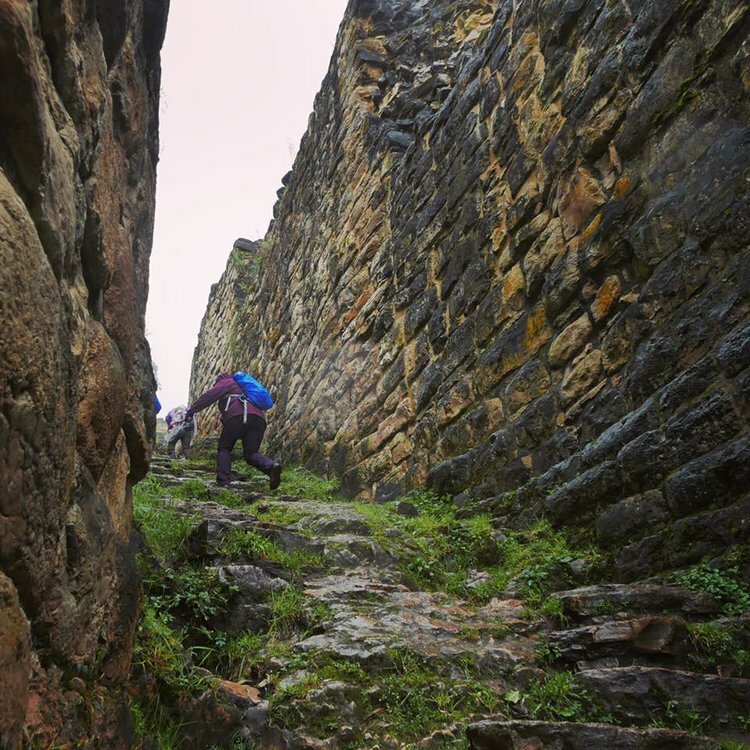 Kuelap was built as a ceremonial center by the Chachapoyas people but over the years had to be retrofitted as the Chachapoyas had to defend against the Inca and when the Inca conquered it they in turn had to defend against the Chachapoyas, who had allied with the Spanish. There were only three narrow passages. The most significant and impressive is unfortunately currently closed for restoration. This is another entrance, slippery when wet. 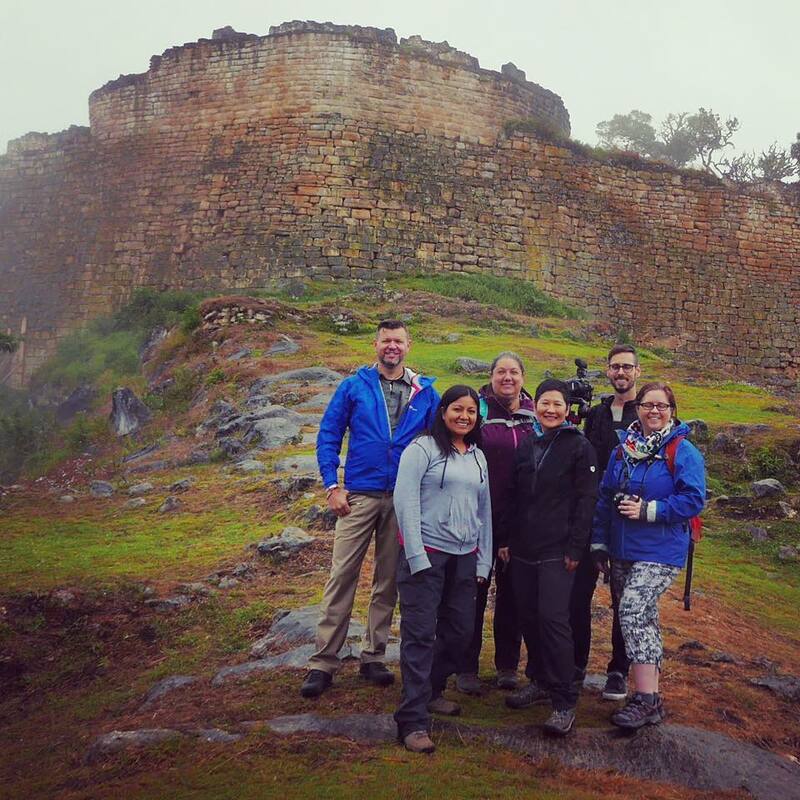 It’s astounding to walk the same steps pre-Inca and Inca peoples did a millennia or more ago. Amazonas, Peru. 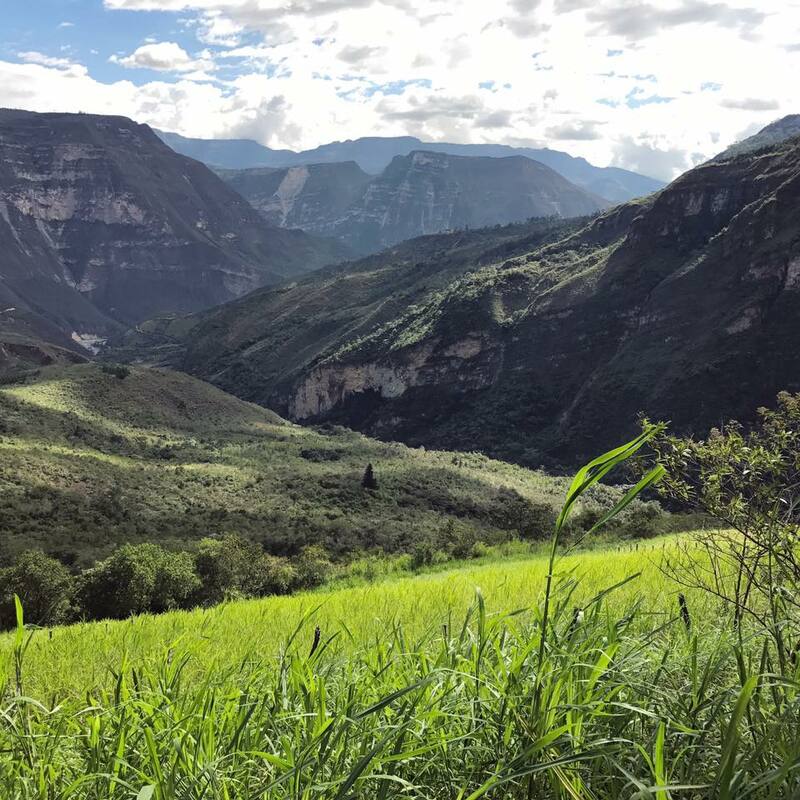 Eye of the jaguar: Definitive information on the Chachapoyas culture is thin, as they were absorbed by the Inca and because many ruins have yet to be studied. What we do know is that the Chachapoyas built circular and quite fancy houses, some with a subterranean chamber (that acted as a fridge), others with built-in cages to hold guinea pigs (for food and warmth), and some with decorative elements such as the diamond, which may represent a feline eye. Amazonas, Peru. Clouds, not crowds: Some 4,500 people a year go to Kuelap, the majority domestic visitors. Officials expect that number to more than double with the new cable car and upgraded infrastructure. The complex is large, and except for the narrow entrances, should be able to accommodate the increase. Machu Picchu, in contrast, is close to capacity and the daily throngs threaten both the site and the experience. In fact, to address this, new regulations limit the amount of time visitors can spend at Machu Picchu. This is the constant conundrum of tourism: drawing visitors and the income they bring while protecting the destination and its residents. Visitors must do their part by treading lightly and by supporting destinations and travel companies working to do it right. Amazonas, Peru. Some compare Kuelap to Machu Picchu 30 years ago. I don’t know about that, but I will tell you that it’s easier to hear the voices of the ancients and see the stories writ in the stones when you're not rubbing shoulders with fellow travelers and hearing their phones beep and buzz. Amazonas, Peru. No surprise, climbing a stone citadel at altitude makes one feel famished. A traditional lomo saltado always satisfies. Sabores del Utcubamba, near Kuelap, Amazonas, Peru. 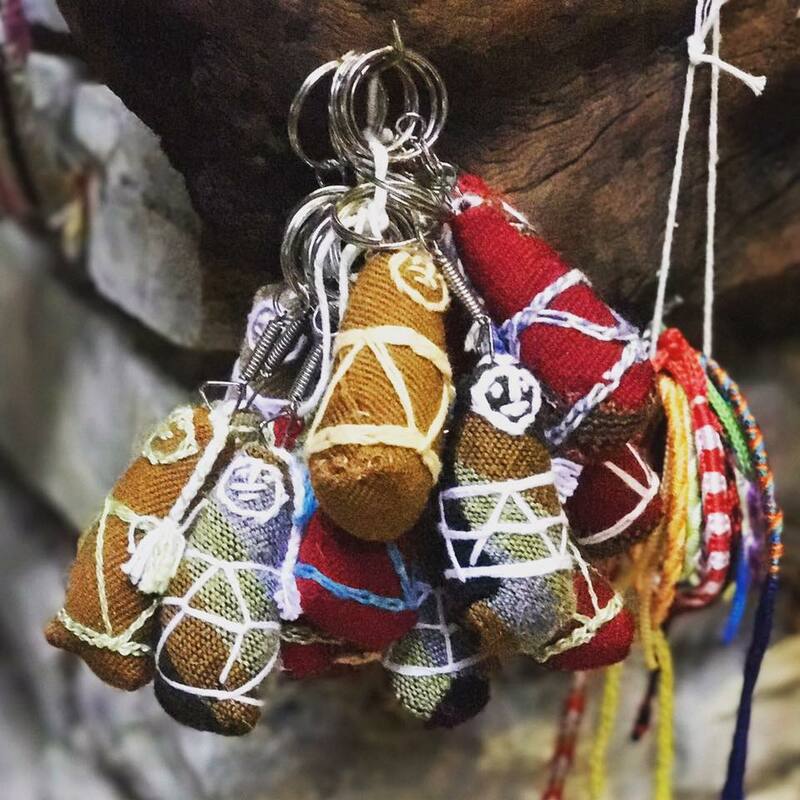 Here’s the G-rated version of my previous photo--Chachapoyas mummy key rings. Leymebamba museum, Amazonas, Peru. Window watching: The drive from Leymebamba to Jaen for the flight back to Lima is long, but the scenery surprises and delights at every turn. Rice fields in Cajamarca approaching Jaen. Peru. Thanks for coming along with me to Lima, Paracas, and the northern highlands of Peru. I was surprised by the depth and diversity of this lovely country. There’s so much more there and I hope to return. All made better in the company of friends old and new.